Ahead of Tuesday’s international friendly against the Pharaohs of Egypt at the Stephen Keshi Stadium in Asaba, head coach of the Super Eagles, Gernot Rohr, has confirmed Kaizer Chiefs goalkeeper, Daniel Akpeyi, will be in goal from the start. He also said that FC Midtylland of Denmark forward, Paul Onuachu, will also lead the team’s attack from the start. According to him, home-base goalkeeper, Ikechukwu Ezenwa, will substitute Akpeyi in the second half. “The two goalkeepers will play tomorrow. Akpeyi will start, Ezenwa will play second half,” Rohr was quoted by CSN as telling reporters on Monday in Asaba. Rohr said that former Watford star, Odion Ighalo will not start because the Chinese-base striker is currently not fit. 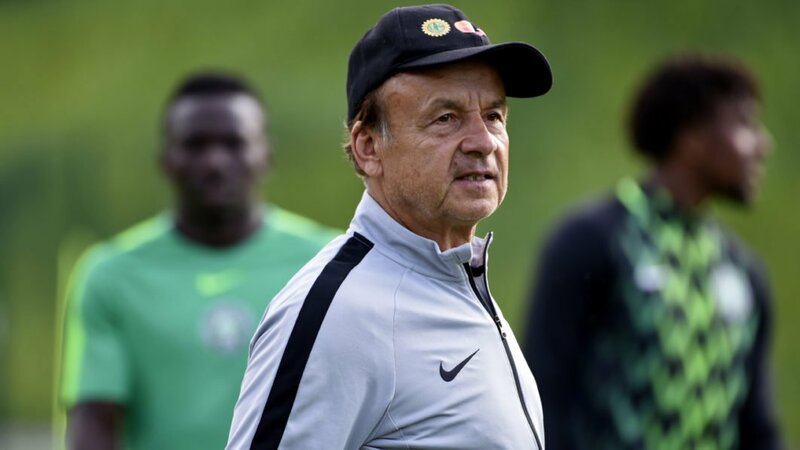 Rohr added: “Ighalo is not fit to start but he will be on the bench. Nigeria heads to the match following a 3-1 win over Seychelles 3-1 in their final 2019 Africa Cup of Nations, AFCON, qualifying fixture last week Friday. The kick-off time for the match is 4 pm. Exterior Paint Colors – How To Choose?